Colorado Gov. Jared Polis, in his first budget proposal, has laid out a plan to make universal, full-day kindergarten a reality in Colorado. Colorado Gov. 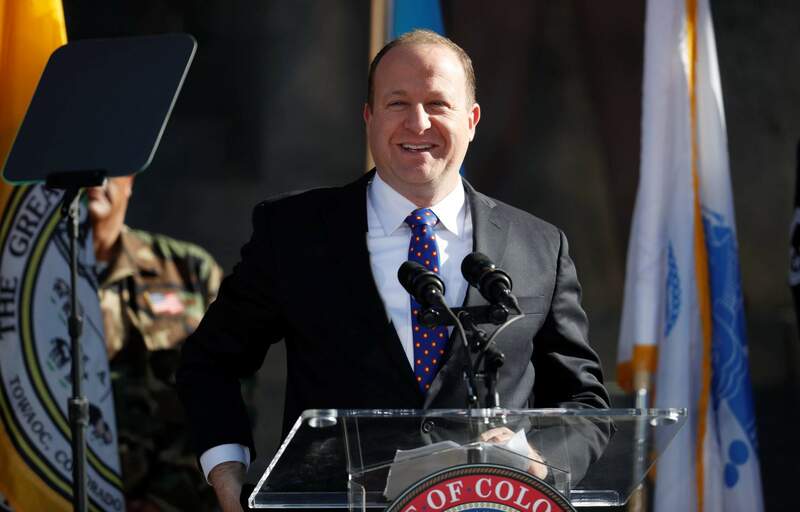 Jared Polis campaigned on bringing universal, full-day kindergarten to Colorado. Two days after being sworn in as governor, he said in his State of the State speech that the initiative would be his top priority this year. And in his first budget proposal, released Tuesday, he laid out a plan to make it happen. There doesn’t seem to be much pushback among Democrats at the Capitol regarding the benefit of full-day kindergarten. The question of how to pay for it – now and in the long term – is what’s stumping them. An ‘ongoing issue’Currently, the state funds half-day kindergarten, but parents and districts must cover the costs for full-day programs. The governor is asking state legislators to set aside $227 million in the 2019-2020 fiscal year so the state can cover the cost of full-day kindergarten for all students, plus another $26 million for districts to implement the program. The state is expecting significantly more property tax revenue in ’19-’20 than previously projected – about $275 million more – and Polis wants the bulk of that to go toward fulfilling his top policy goal. Sen. Rachel Zenzinger, a Democrat who serves on the Joint Budget Committee, says the problem is that this isn’t the kind of program the state can fund one year without a specific plan for how to keep funding it. Zenzinger raised one possible compromise: Phasing in the full-day kindergarten program, as opposed to implementing it in full by the fall. Other prioritiesColorado has a $9 billion backlog of needed transportation infrastructure projects. Democrats proposed a new tax to provide transportation funding, but voters rejected it in November. A competing measure that would have forced the legislature to fund transportation projects through bonds to be paid back with existing revenues – the measure was popular among Republicans – also failed to win voter support. Notably, Polis’s first budget request doesn’t call for any funding increases to address this backlog. Sen. Dominick Moreno, the chair of the Joint Budget Committee, echoed what Democratic lawmakers have said for years about this growing crisis. “With the incredible pressures that we have on our state budget, at the end of the day, where transportation is concerned, we need a new source of revenue, and so we have to have that conversation,” Moreno told reporters. Zenzinger said that scaling back Polis’s aggressive, get-it-done-now approach to full-day kindergarten could lead to some needed money in ‘19-’20 for transportation. “We’re not going to be able to get $9 billion by lifting up the couch cushions,” she said. Breaks from HickenlooperPolis’s budget director, Lauren Larson, who did the same job for former Gov. John Hickenlooper, said the new governor feels his budget proposal isn’t much of a departure from the budget Hickenlooper pitched just before leaving office other than setting the kindergarten-funding priority. But there is a slew of proposals in this budget that weren’t included in Hickenlooper’s draft. One way Polis has distinguished himself early on from his predecessor is by creating the Office of Saving People Money on Health Care, which his lieutenant governor, Dianne Primavera, will oversee. Polis’s budget request calls for a “modest” – though as yet unspecified – amount of money for this new office. He is, however, asking for $1.3 million to start allowing Coloradans to import prescription drugs from Canada, plus $1 million for a health care “reinsurance” program aimed at reducing costs for insurance companies and lowering patient premiums. Polis is also seeking to spend $1.8 million to create 16 new positions at the Colorado Oil and Gas Conservation Commission. Five of those would go toward well inspection. A drop in the bucketColorado is barreling toward a water crisis, going on two decades of drought and facing an ever-warming climate. Hickenlooper said before leaving office that he’d seek $30 million to pay for water infrastructure through 2020 in order to advance the state water plan – a 567-page behemoth that the Hickenlooper administration touted as a response to the fact that Colorado’s water demands are soon expected to exceed supply. Polis’s proposal calls for that $30 million in multi-year funding to be fulfilled in this coming fiscal year. State policy experts who’ve worked on the water plan, however, have said implementation would cost about $20 billion from now through 2050, and perhaps more. Some relief for a suffering programAs The Independent recently detailed, the program through which unauthorized immigrants in Colorado can obtain driver’s licenses is in trouble: it’s severely backlogged and there may soon be just one office in the entire state to service the program. Polis has proposed opening an office in Durango to ease a bit of the stress. His draft budget calls for $800,000 to fulfill that proposal. State budgets often aren’t adopted until legislative sessions wrap in May, and, this year, that’s the exact month at which the immigrant driver’s license program is projected to reduce its processing offices from three to one, which would force all new applicants to travel to Denver. Two Republican lawmakers are working to stave off that prospect. John Herrick contributed to this report.The Colorado Independent is a nonprofit, nonpartisan media organization that informs and engages with Coloradans – about public policy, politics, government and issues that matter in our square, swing state.